The vagus nerve is a part of the dog not many people are likely to hear about, but it’s a very important bundle of nerves that carries many different functions. It’s one of the twelve nerves that emerge directly from the brain, and as such, it’s responsible for relaying information between the dog’s brain and other body parts. Like a good captain of a ship, the dog’s vagus nerve controls a vast range of crucial functions, so let’s discover today more about where this powerful nerve bundle is located, how it works and the variety of things that may go wrong when there’s some sort of malfunction going on. 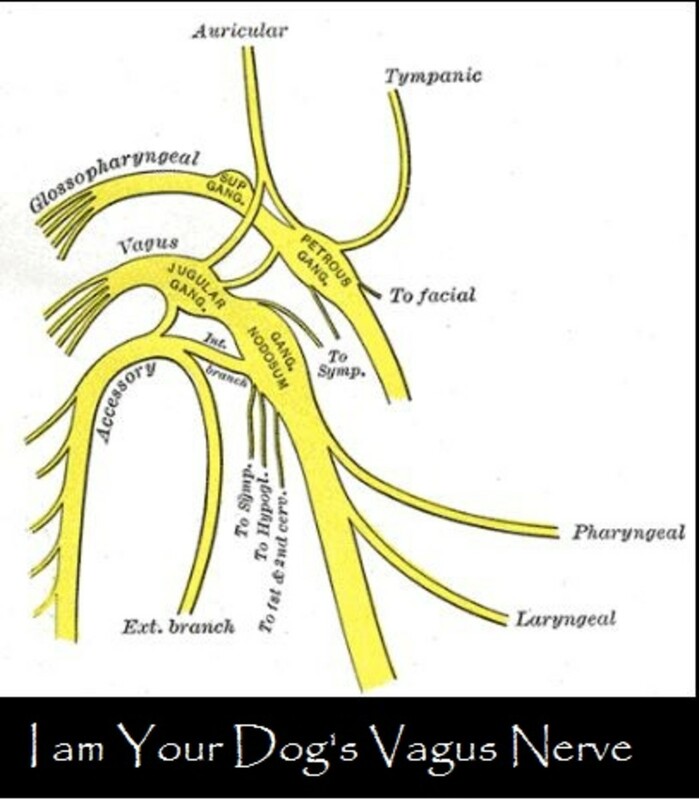 Hello, it’s your dog’s vagus nerve talking! I am a nerve that emerges from the brain and travels down your dog’s neck, close to the carotid artery and jugular vein. While technically there are two of us, one on the left and one on the right, doctors tend to usually refer to me as being one. I am the longest and most complex of your dog’s cranial nerves (nerves that stem from the skull) and if you look at the etymology of my name you can learn more about me. The term “vagal” derives from the Latin word “vagus ” which literally means “wandering.” Yes, I wander like a vagabond providing two-way communication of nerve impulses back and forth from the brain stem to the lowest viscera of your dog’s abdomen touching the heart and other major organs along the way. As mentioned, I work like a good captain and my job encompasses overseeing your dog’s parasympathetic nervous system. Because I have multiple branches that travel to so many organs, I accomplish many functions. I am responsible for regulating your dog’s heart rate. Being the captain of the parasympathetic system, also known as the “rest and digest system,” (basically the total opposite of the sympathetic nervous system which is ‘fight of flight’), it’s my job to slow down the heart rate. I do so by triggering the release of a substance known as acetylcholine which helps slow down the pulse courtesy of electrical impulses sent to the sinoatrial node of the heart. Back in the old days, Otto Loewi, a German-born pharmacologist, referred to acetylcoline as “Vagusstoff” in honor of me. Interestingly, my nerves associated with respiration, cause the heart rate to increase with inspiration and decrease with expiration. For those anxious people out there, taking deep breaths followed by a long and slow exhale can calm them down as this stimulates me to biologically release vagusstuff with the associated pleasant consequence of lowering the heart rate and blood pressure. Relaxation is sure to follow as cortisol levels are reduced. Sure, you can’t really teach dogs to say “Ommm” and take deep breaths and exhale, but if you perform a calming activity such as giving your dog a massage, chances are, you can help me release acetylcholine so your dog’s heart rate and breathing can lower. Veterinarian Narda G. Robinson and Shelly Sheets, a Canine Massage Specialist, explain in the book “Canine Medical Massage: Techniques and Clinical Applications” that moderate-pressure massage primarily works on the dog’s parasympathic nervous system, (and that includes the vagal nerve pathways) slowing the heart rate, lowering blood pressure and reducing cortisol levels. One of my interesting roles is my ability to “read’ and interpret the microbiome of your dog’s gut. Basically, I check whether there are any pathogenic organisms in the gut. If I detect something alarming, I will modulate the inflammatory response. Too much inflammation is not a good thing! Also, I play a role in motility. I basically work like a walkie-talkie, relaying information from the gut to the brain. When your dog feels hungry from the sensation of his stomach being empty and he looks up at you in hope for a tasty morsel, you must thank me for relaying that message. I am also behind general motility, orchestrating the muscles in your dog’s stomach telling them when to contract and push food into the neighboring small intestine. Now, off it goes! There are many more important functions I play a role in, so here is a quick run down of others things I do. In the gallbladder, I help release bile, in the liver and pancreas, I help control the balance of glucose, in the kidneys, I help excrete sodium so to lower blood pressure, in the eyes, I help promote excretion of tears, in the tongue I help with taste and production of saliva and much more. Interestingly, in the last years, I have been researched a lot. Researchers have discovered that that the neurotransmitter acetylcholine I release not only helps with relaxation, but also plays a role in learning, memory and reducing inflammation. Activation of me has also be linked with production of new cells and even repair of organs. According to Pet Education, researchers at the North Carolina State University College of Veterinary Medicine have been studying using a pacemaker-like device to stimulate me, which can turn helpful to control seizures in epileptic dogs. While I can be a great captain when I have everything under control, when things backfire, I can quickly turn from a loyal comrade on deck into a major saboteur. Yeah, you really don’t want anything to go wrong with me; with all the tasks I perform, you may expect problems anywhere along my route from the brain to all those important organs. While stimulating me may lead to relaxation, over-stimulation can lead to problems. At the esophagus level, several vagal receptors detect the presence of food and liquid so that the dog can swallow and the esophagus contracts. 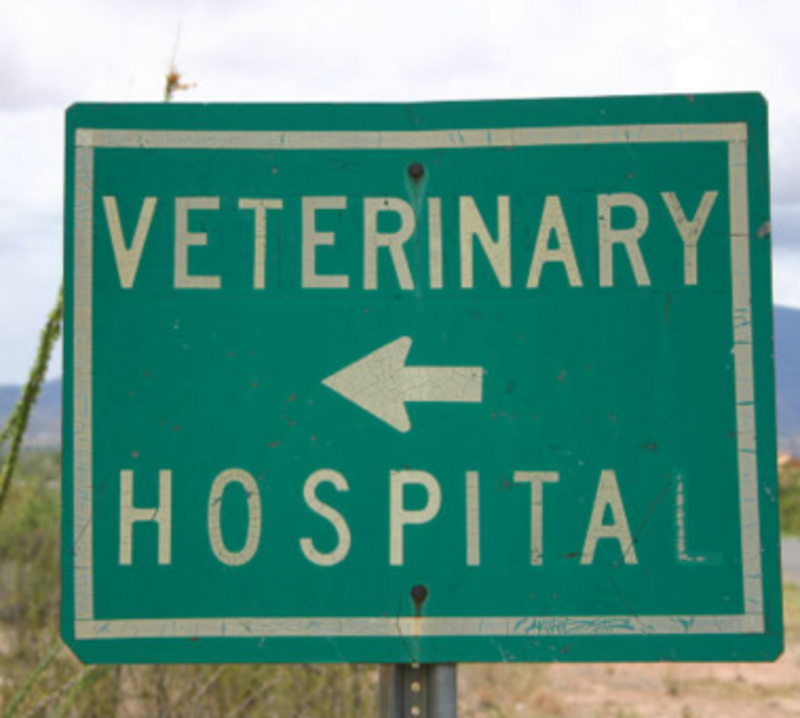 When things go wrong though and dogs start suffering from megaesophagus, defects in my vagal afferent innervation or abnormalities of the muscles of the esophagus are often to blame. 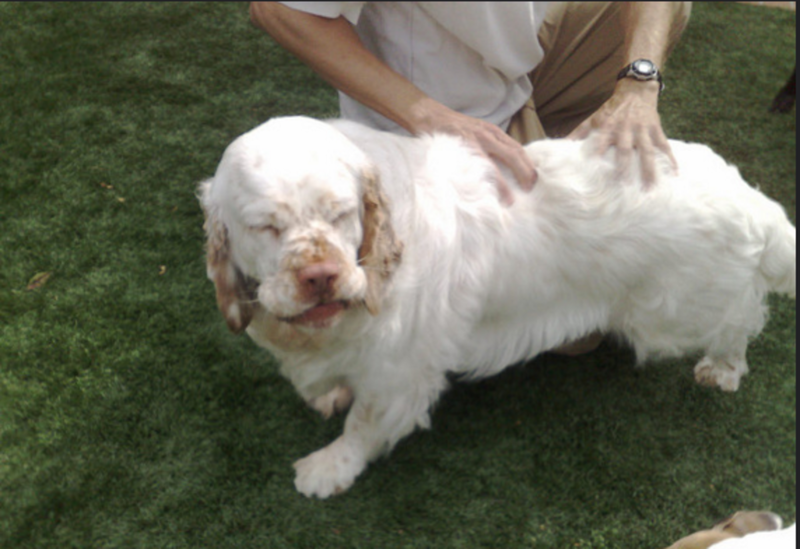 While not too common in animals as in people, dogs can sometimes faint when I am stimulated. This is often referred to as “vasovagal syncope.” Basically, when my vagal nerves of the pharynx are overstimulated, I can trigger a lower heart rate and a drop in blood pressure. 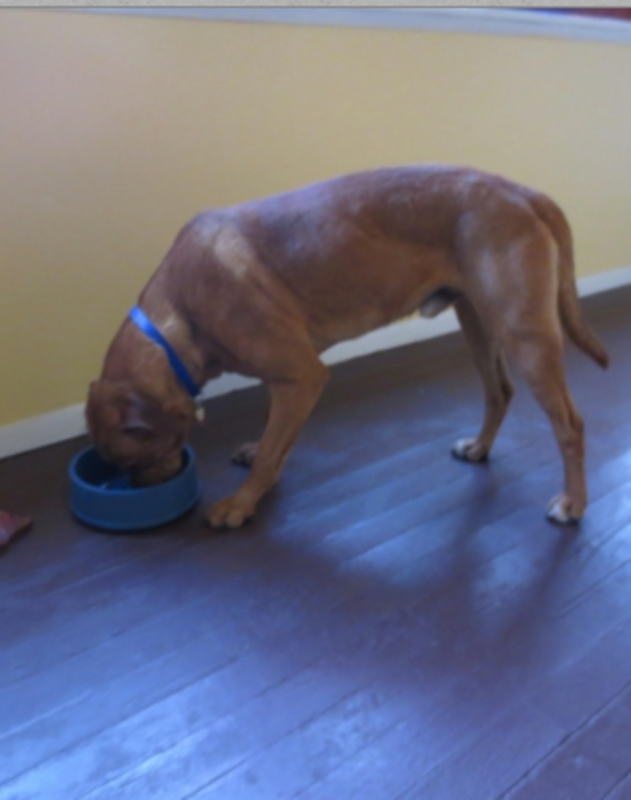 This can happen when dogs eat too fast, bark, cough or vomit. 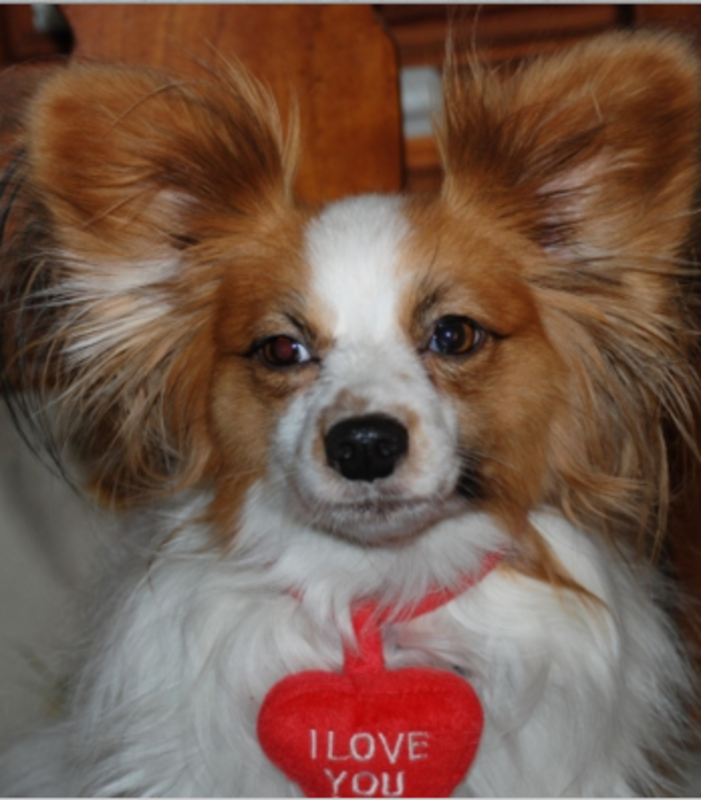 According to veterinarian Henry Green III, in small dogs suffering from heart problems, I can cause fainting when the heart rate is very low (bradycardia) and it’s then following by bouts of high heart rate (tachycardia). Also, a high vagal tone which happens when my impulses produce an inhibition in the heart beat, can cause what’s known as first-degree heart block. As seen, I really accomplish a whole lot! Just consider that anywhere between 80 and 90 percent of my nerve fibers are dedicated to relaying important information pertaining the state of your dog’s viscera to your brain. Connect the brain to your dog’s pharynx, larynx, esophagus, ears, tongue, gut, heart, liver, pancreas, gallbladder, kidney, ureter, spleen and lungs. I guess I can say that I am largely responsible for your dog’s mind and body connection. I hope this article has helped you understand the vagus nerve better! Oh, and I am also found in humans, so chance are today you learned even something new about yourself too!